SAES is so proud of our "Jumping for George" jumpers. 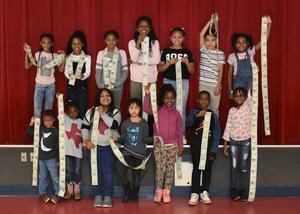 These students were drawn from a basket of all students with perfect attendance from the second nine weeks. 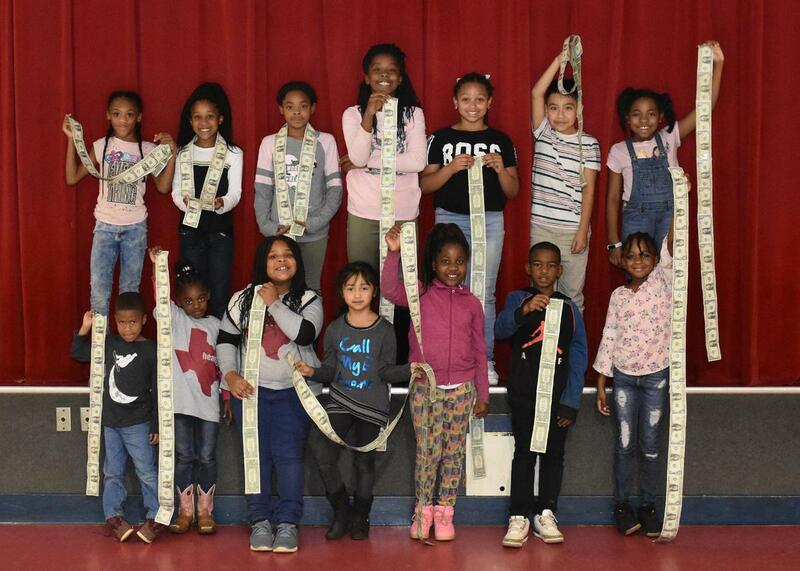 Students whose name is drawn gets to jump from the beginning of the taped $1.00 bills as far as they can. The farther they can jump, the more money they get! This is fun and exciting for our students. Congratulations!